The goal of the Library Media Center is to create and encourage a love of literature and reading. The students will be introduced to a variety of authors and genres, as well as different reading and library skills throughout the year. The purpose of the Cumberland Library Media Center is to also support and provide teachers with the materials that they need to enrich their units of study. Visit the Book Fair this April! It is BOGO!!!! The Library Birthday Party brought in over $1,900! This allowed us to get over 100 new library-bound books for our Library! Thank you! 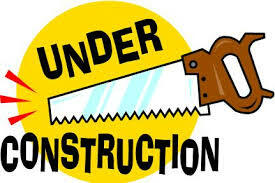 ​The Library Media Center is Under Construction!!! We are currently in the classroom across the hall from the old Library Media Center. Look for our new Library Media Center to open in August, 2019!!! e-books available for Cumberland students!